Goose Island will close its first London bar in the wake of announcing its first London brewpub. The bar in Balham, South London, which opened in December 2016, is housed in a site formerly owned by cocktail bar chain Be At One. It was originally branded as The Vintage Ale House, serving solely Goose Island beers, including its Sour Sisters and Bourbon County ranges in bottle, along with higher-end, Chicago-inspired cuisine like Porter and molasses-glazed beef cheeks and pulled goose hash. A rebrand midway through 2017 saw it transformed into the Goose Island Tap House, replacing its higher-end offering with hot dogs and a greater focus on its draft offerings such as Goose IPA and Four Star Pils. The bar will be superseded by a brewpub in London’s busy Shoreditch neighborhood—a stone’s throw from some of London’s most exciting beer locales, including Hackney and Bethnal Green. The brewpub will be located within the site of the Drunken Monkey restaurant at 222 Shoreditch High St. The venue was acquired in February by Anheuser Busch-InBev’s investment arm ZX Ventures, which operates in the UK under the Pioneer Brewing Company brand. This new brewpub is part of a wider strategy from ZX within the UK capital. Camden Town Brewery—acquired by ZX in December 2015—commissioned its £30M ($40M) North London brewery in May 2017, which will have a maximum total capacity of 400,000hl (341,000 BBLs). And in March, GBH revealed that ZX-owned distributor and retailer Beer Hawk will open a bar and bottle shop on Stamford Street, near London’s South Bank. 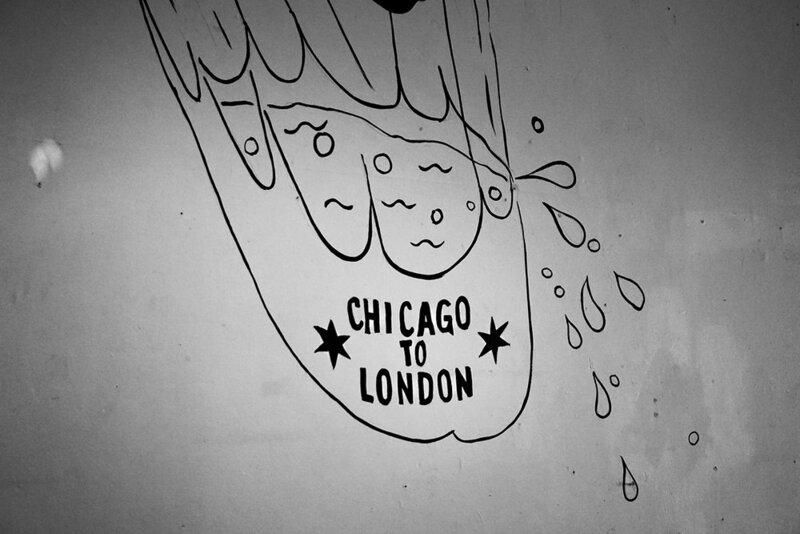 London continues to be at the heart of ZX’s strategy as the company grows its Goose Island brand within the UK. The past couple years have seen an attempt by Goose to replicate what has worked for it in its home market of Chicago by applying the same strategy to London. This has included public events like 312 Day, the Goose Island Block Party, Black Friday launches of Bourbon County Stout, and special events for its limited releases like Brewery Yard Stock Ale. But applying that same strategy may not be the wisest move. In its home city, Goose sales were down 7% year-over-year, while competitors Revolution—a brewery that’s roughly comparable in size to the likes of Beavertown in London—saw an increase of 34%. Across the U.S., however, sales of the Goose Island family of brands were up 5% overall last year in IRI-tracked grocery, convenience, and other stores. And its flagship IPA saw sales growth of almost 30% from 2016 to 2017. Much like Chicago, London has seen a boom in the number of operating breweries, with 110 now active in the city, perhaps indicative of the challenge for any beer brand to find a foothold in this market. And that’s something Goose Island will have to contend with if its new brewpub is to succeed. The brewpub element will almost certainly be a draw, as will the location, which sits on the fringe of the City of London financial quarter. Combined with the vibrant, creative Shoreditch neighborhood on its doorstep, the venue should see no shortage of pedestrian traffic. The brewpub model in London is currently proving popular, with BrewDog having just opened its 8,500-square-foot Tower Hill site, complete with 10hl (8.5 BBLs) brewhouse. Yorkshire’s Northern Monk also has eyes on a London brewpub after smashing its recent crowdfunding drive and raising £1.5M ($2M). Perhaps channeling the same diversity and sense of place that has been so successful for existing breweries within the London beer market is key to this new brewpubs success. However, unlike brewery owned pubs and bars within London such as those from Fullers’ or BrewDog, Goose Island’s Vintage Ale House initially only stocked its own beer. It eventually added two guest lines as part of its refit, but this was evidently too late to revive the fortunes of this soon-to-be-defunct venue. Smith says Goose Island currently has no further plans to roll out this brewpub concept elsewhere in the UK. It remains to be seen if putting all of its eggs in one London basket will hatch success.